Are you looking for a good summer read? 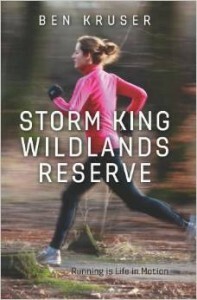 Then support a fellow runner and read, Storm King Wildlands Reserve: Running is Life in Motion, by Ben Kruser. As a runner and an author, Ben writes solid fiction that uniquely combines running and the outdoors with a fast paced story about a determined single mom and her no nonsense teenage daughter. In the novel they face the challenges of starting over in a new town, career upheaval, high school uncertainties, confronting bullies, and finding true friends.